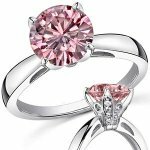 When you are shopping for a ring, you have several types of stones to consider. Moissanite offers an alternative to diamonds with its sparkling brilliance and stunning appearance. What the beautiful stones offer in comparison to diamonds is enhanced because the stones are less expensive than the real thing. Moissanite rings are made with the laboratory made stones that are considered to be a diamond simulant. The stones are available in a variety of colors adding to their charm and making them a popular stone for rings. A pale green moissanite green stone shines in this Round Platineve Solitaire Ring. The ring has a half bezel setting giving it a simple beauty. There is an open worked design under the stone to allow light for maximum sparkle. The petite and feminine ring is available on Jewelry Television. This Green Moissanite Luisant Solitaire Platineve ring features beaded scrolling on the band. With open worked detailing framing the pale green stone on each side of the band for added charm, the ring has a designer setting. It has a plated rhodium finish. The delicate ring is available at Jewelry Television. A six-prong setting holds the brilliant green solitaire stone in this Platineve Luisant Cress Solitaire ring. The band has decorative open work detailing for added charm. The dark green stone sparkles in the Platineve band. You can find this charming ring at Jewelry Television. The antique design of this stylish ring is the ideal setting for the light green round moissante solitaire stone. The stone is framed on each side by a baguette cut clear stone. Delicate braiding accents the band adding to the antique design. The ring is available in 14k two-tone gold, 14k white gold, and palladium. This antique style ring is available at the Moissanite Co. web site. With a polished finish, the band of this Antique Tulip ring features a yellow round moissanite center stone. 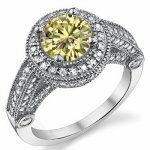 With the round accent diamonds in the setting, the yellow stone sparkles brilliantly. The delicate design of the setting provides a decorative touch to the ring. Available in 14k white gold or palladium, the ring is available at the Moissanite Co. web site. A rectangular cut center stone of dark green on a 14k yellow gold band provides classic lines. 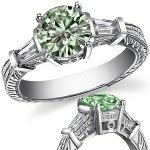 Framed on each side by a cluster of three small round green moissanite stones, the ring is stunning. It has a four-prong setting and polished finish. 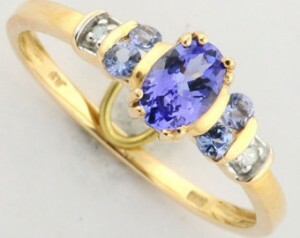 Jewelry Television has the striking ring available. This elegant Yellow Legacy Round Moissanite Halo ring features a glittering yellow center stone. 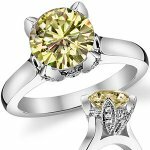 Small round moissanite stones surround the brilliant yellow forming a halo. Delicate beading accents the halo as well as the stones on the band. Open worked detailing ads to the elegance of the ring. It is available at the Moissanite Co. web site in 14k white gold or palladium. Romantic double hearts adorn this feminine platineve ring. 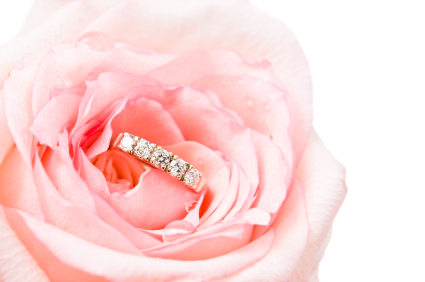 The charming pale pink of the stones in this moissanite ring sparkle softly from their bezel settings. Designed with simple elegance, the ring has a smooth finish. 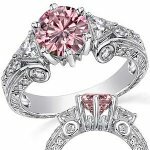 You can find the romantic ring on Jewelry Television. This Antique Pink Round and Triangle ring features a brilliant pink moissanite center stone framed by a clear triangle stone on each side. Delicate and intricate scrollwork adds to the charm of this stylish ring. It has an open worked design under the center stone creating a unique look. The band is available in 14k white gold, 18k white gold, or palladium at the Moissanite Co. web site. The soft pink solitaire stone adorns the polished band for a traditional look. The ring features a pave style basket design. The simplistic beauty of this ring is available in 14k white gold, 18k white gold, or palladium. 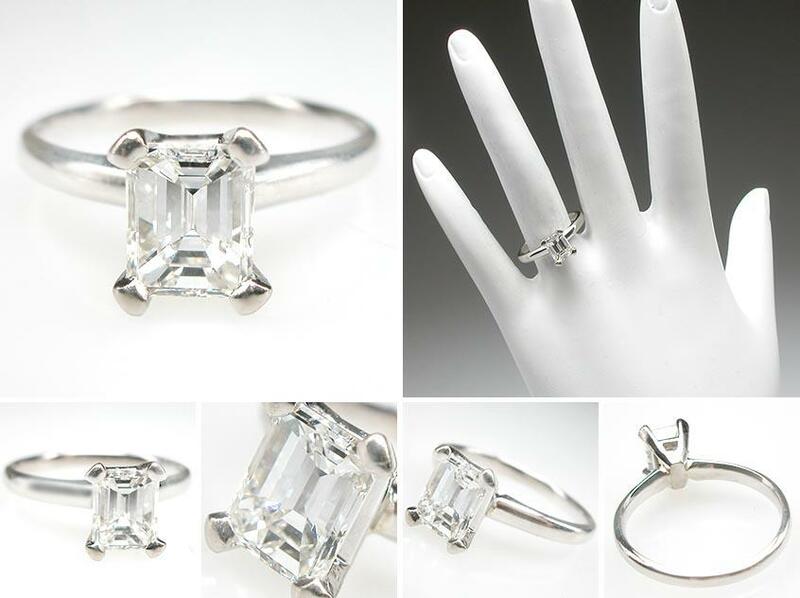 You can find the charming ring on the Moissanite Co. web site.